It generally only takes a few moments of being around me to discover 2 things… I LOVE PINK and I LOVE to BLING and to be BLING’D! I do many of my hats, tops, jackets, jerseys, shoes and even my snowboarding gear, including my goggles and helmet! And of course… body bugg bands just cannot go bare! 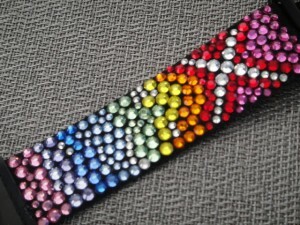 If you are looking to order a BLING KIT or a BLING’d Body Bugg Band – please contact me directly. 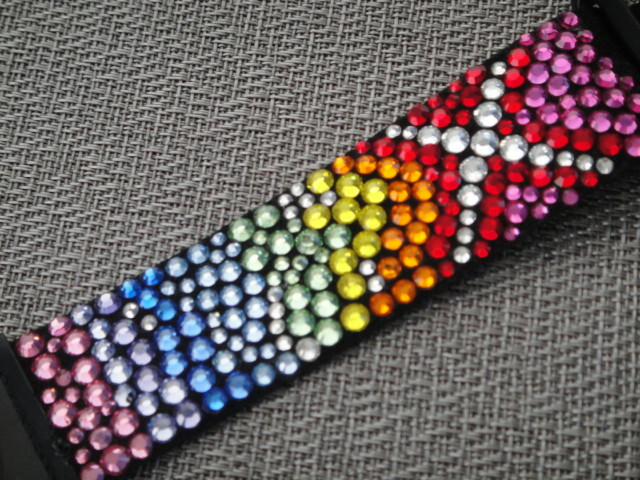 They generally range in price from $65-$90 depending on complexity of designs and size of stones, colors, etc. and I will post them for purchase for you on my Etsy page. If ya have a request, just holla… I can probably do it for you! I use only Swarovski crystals just keep in mind that the brilliance of the crystals don’t translate as well in photos as they do in person… but at least the pics give an idea of the FUN you can have! 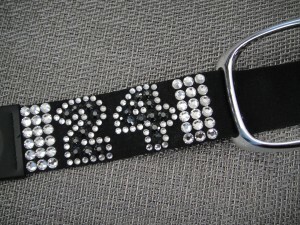 accepted on my site), your new BLING will be shipped directly to you. Everything IS betta with BLING! Can’t wait to help you get your BLING on! Look forward to hearing from you soon and helping you get your BLING on!